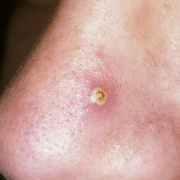 A boil is a common, painful infection of a hair follicle and the surrounding skin. 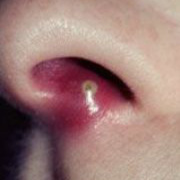 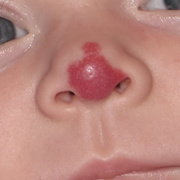 It begins as a red lump, then fills with pus as white blood cells rush in to fight the infection. 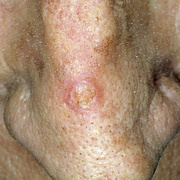 Good home care can often clear up a single boil, also known as a skin abscess. 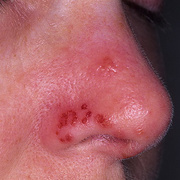 A doctor's care is needed when a boil resists treatment or develops in certain vulnerable areas of the body.